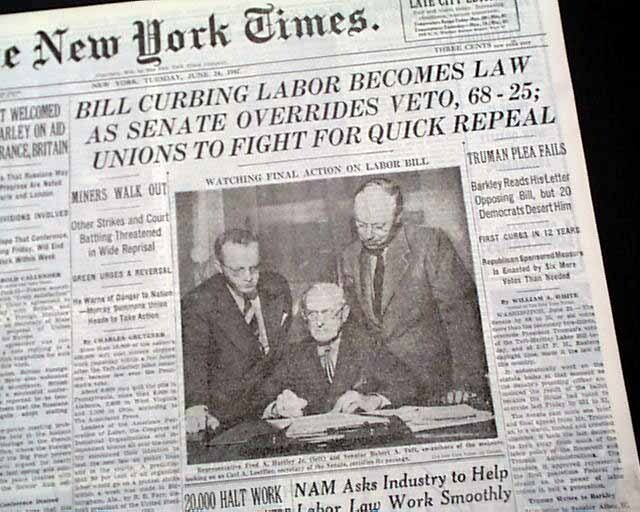 This 48 page newspaper has a five column headline on the front page: "BILL CURBING LABOR BECOMES LAW AS SENATE OVERRIDES VETO, 68-25; UNIONS TO FIGHT FOR QUICK REPEAL" with subheads and related photo. (see) More on page three. 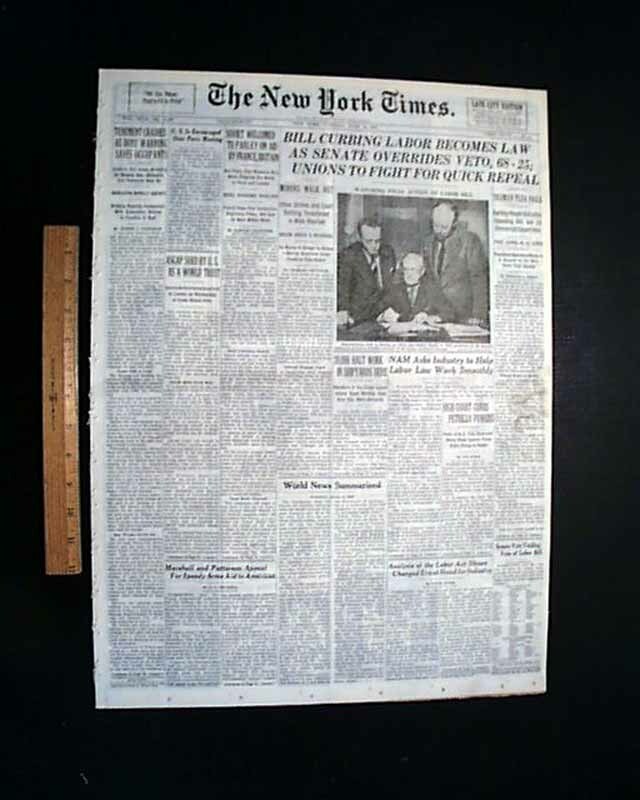 wikipedia notes: The Labor–Management Relations Act, 80 Pub.L. 101; 61 Stat. 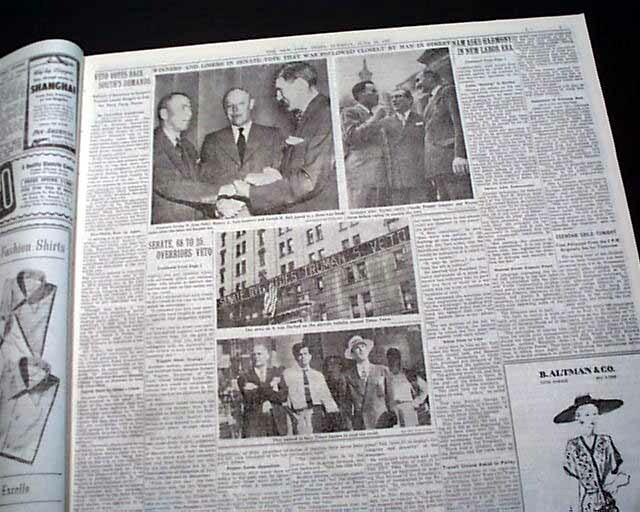 136, informally the Taft–Hartley Act, is a United States federal law that monitors the activities and power of labor unions. 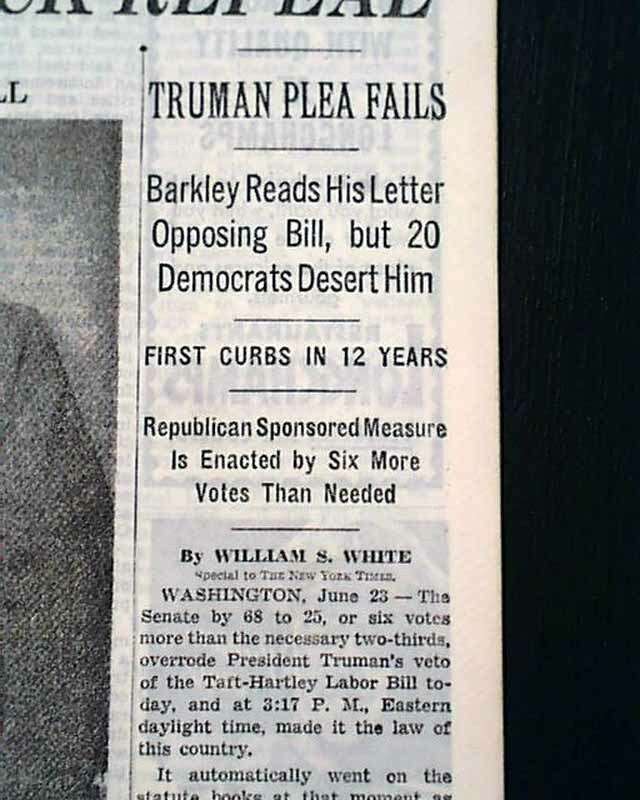 The act, still effective, was sponsored by Senator Robert Taft and Representative Fred A. Hartley, Jr. and legislated by overriding U.S. President Harry S. Truman's veto on June 23, 1947; labor leaders called it the "slave-labor bill" while President Truman argued it would "conflict with important principles of our democratic society," though he would subsequently use it twelve times during his presidency. 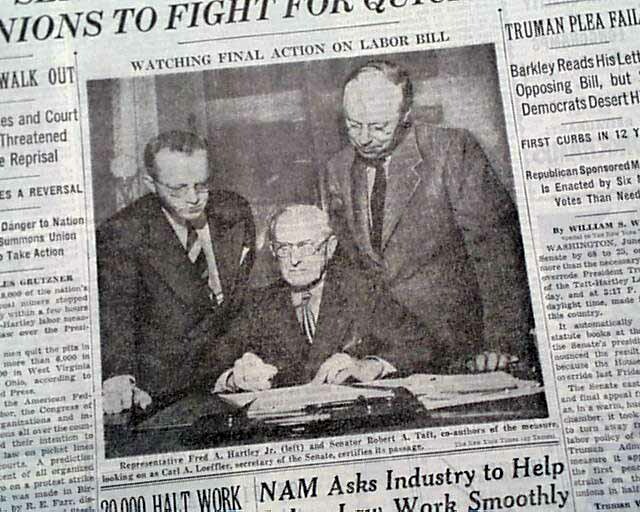 The Taft-Hartley Act amended the National Labor Relations Act (NLRA; informally the Wagner Act), which Congress passed in 1935. 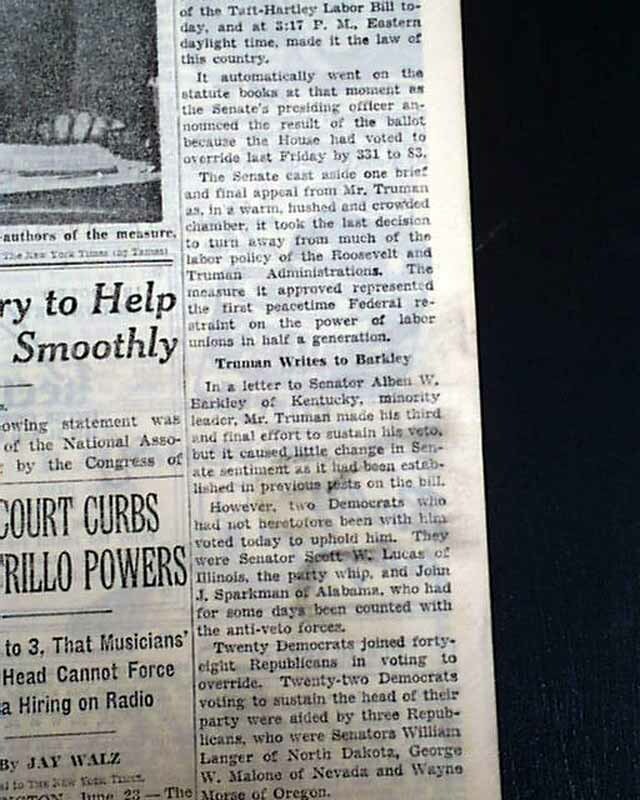 The principal author of the Taft-Hartley Act was J. Mack Swigert of the Cincinnati law firm Taft, Stettinius & Hollister, who as of 2007 was still active at age 100.